At Heat-Tec we offer repairs and installation of central heating systems throughout West Wickham. If you’re looking for a replacement or a brand new installation of a heating system in the West Wickham area, Heat-Tec can not only provide you with the installation but we can help you choose the right system to meet your properties needs, we also supply all the equipment and parts to, so you have a stress free installation process. All of our central heating work is carried out by fully trained and gas safe registered engineers so you know you’re in safe hands when you choose Heat-Tec to undertake your central heating system.. Heat-Tec have experience of working with a range of other heating systems to. Whether you’re a homeowner, landlord or business owner in West Wickham or the surrounding areas, Heat-Tec provides the same high quality service to all of our customers. If you’re suffering a problem with your heating system in the West Wickham area, Heat-Tec cover a range of repair services for your system such as radiator repairs, radiator replacement, thermostat repair, thermostat replacement, valve repair, valve replacement and much more so if your heating system need a repair then get in touch with Heat-Tec and one of our professional heating engineers will be happy to help. There’s no need to suffer a central heating problem, Heat-Tec offer annual servicing of central heating throughout West Wickham, when we undertake servicing work one of our gas safe registered engineers will come out and thoroughly check your system to ensure that there are no issues and that your system is running safely and smoothly. At Heat-Tec we believe in customer satisfaction that’s when we agree a price for work, that’s the price you’ll paid, there’s no hidden extra costs. So when you’re in need of a repair, servicing or installation of a heating system in West Wickham or the surrounding areas then get in touch with Heat-Tec on 020 3369 8682 and one of our professional and fully trained gas safe registered engineers will be happy to help with all your central heating needs. As well as central heating installations in West Wickham, we also offer an installation service throughout Croydon, Bromley, Mitcham, Orpington, Caterham, Sevenoaks, Beckenham and the surrounding areas. What central heating systems do we provide? We provide a selection of central heating through our boiler system installation. 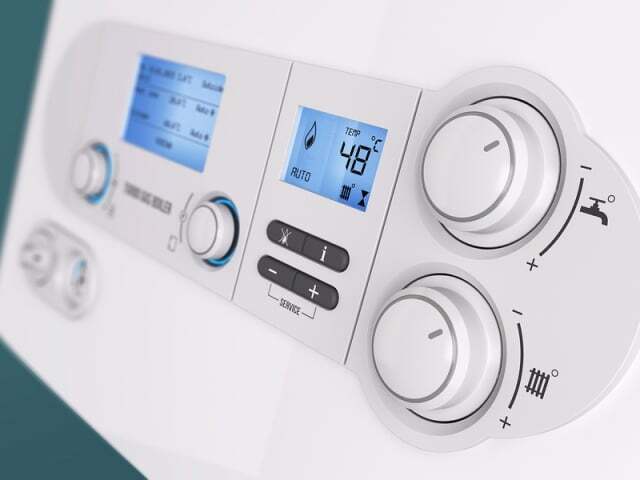 When it comes to boilers, there’s three main types available which includes combi boilers, system boilers and regular boilers. How often do I need to top up the pressure in my heating system? When it comes to your central heating system, it’s important to have regular checks carried out by Gas Safety Engineers, they can advise and carry out pressure checks as well as making sure that your system is operating safely in your house. How can I preserve my central heating system in the summer months? When the weather has warmed up, you can turn your system off, if you have a combi-boiler then switch it to hot water. However, by turning it back on for 15 minutes, every so often throughout the summer months will help preserve it for the winter. Is there anything I can do to protect my system through the winter? When it comes to the winter months, a top tip to help protect your central heating system it to pipe lag your pipes. It’s simple to do and you can purchase ready-made lagging that slips over your pipes and will protect them in the winter months. If I turn my thermostat up to a high setting will it heat up the room quicker? This is quite a common question, but it’s actually not true. Turning it up will only heat the room to a higher temperature. Dave and Tom have completed multiple central heating and plumbing projects and have always done a first class job.